RSRacecraft is proud to announce the release of our U.S. made high performance aluminum cast jet boat intake. This intake is compatible with all personal watercraft powerplants. It can be purchased by itself or in kit form. Click the links below for further information & pricing. 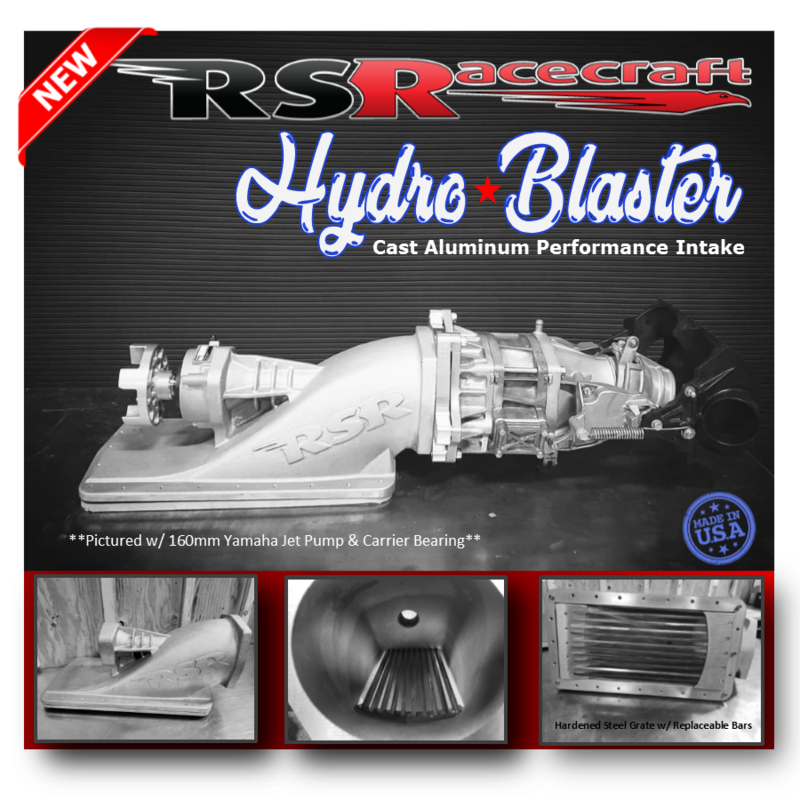 Hydro Blaster is available now as a raw cast intake, machined, or as a kit. RSRacecraft is located in Hayden, Idaho and is the sole U.S. Supplier of WattsCraft mini jet boats & your source for all mini jet boat components. WattsCraft kits are available as a cnc cut & folded kit ready to weld, completed custom boats, and everything in between. Visit our website for pricing and information. We do not stock turn key boats, but would be happy to discuss your needs and help you build your next adventure. WattsCraft began in 2014 with two brothers hankering for a little jet boat to venture into New Zealand’s mountains. Like many Kiwis they had neither the means or the inclination to buy one off the shelf. They designed a boat from scratch and then a couple more and now have a range of industry leading little aluminium boat kit-sets and specialist parts to choose from.